Meet Alisha Geldert, a PhD student in the UC Berkeley-UCSF Graduate Program in Bioengineering. Alisha is a member of Amy Herr's lab in UC Berkeley and is on campus taking part in her first course at CSHL: Quantitative Imaging: From Acquisition to Analysis. I am interested in developing tools to help biologists and/or clinicians make quantitative measurements on biological samples. Currently, I am working on increasing the precision of a single-cell Western blotting assay developed in my lab, which enables high-throughput measurements of protein expression from single cells. I am excited by the ways new biological measurement tools can expand research capabilities and improve diagnostics. I am intrigued by what we may be able to learn from single-cell measurements, because measuring with this increased level of resolution can reveal rare subpopulations of cells or unique cell states which could have important implications in disease. In general, I had always enjoyed my math and science classes, but my interest in pursuing a career in bioengineering really developed as I began to see how math and science could actually be used to improve healthcare. My interest developed through anything from watching a How It’s Made episode on contact lens design, to creating a simple ECG device in a laboratory course, to seeing the limitations of medical care that my friends and family have encountered. Because my lab focuses on developing new biological measurement tools, quantitative fluorescence imaging and analysis are crucial components of my research. I applied to this course because I wanted to better understand not just the microscope itself, but also the many other factors (illumination sources, detectors, image analysis techniques, etc.) that affect the accuracy and precision of quantitative fluorescence measurements. Every microscopy technique has tradeoffs, so you must have a clear understanding of the scientific question you are trying to answer with microscopy and consider the tradeoffs of different imaging and analysis techniques before settling on an experimental plan. I really appreciate that the course instructors have framed the material in a practical manner – they teach about different types of microscopy in the context of how to design experiments with the proper controls and validation so that measurements are more likely to be meaningful. Since my lab owns a few microscopes of our own (rather than performing all imaging in a core facility), lab members share responsibilities for maintaining and troubleshooting issues with our microscopes, and this course has better prepared me for this task. This is my first course at CSHL and I would love to come back! For the past few years or so, my lab has taught a portion of the CSHL course on Single Cell Analysis so perhaps I will get involved in that course in the future. I would definitely recommend it, especially for early-stage graduate students, because you will develop a solid fundamental understanding of quantitative microscopy that can improve your experimental design and troubleshooting skills throughout the course of graduate school. I have really enjoyed getting to know the other course participants, teaching assistants, and instructors. It is a very diverse and fun group! Alisha received a scholarship from the Helmsley Charitable Trust to cover a portion of her course tuition. 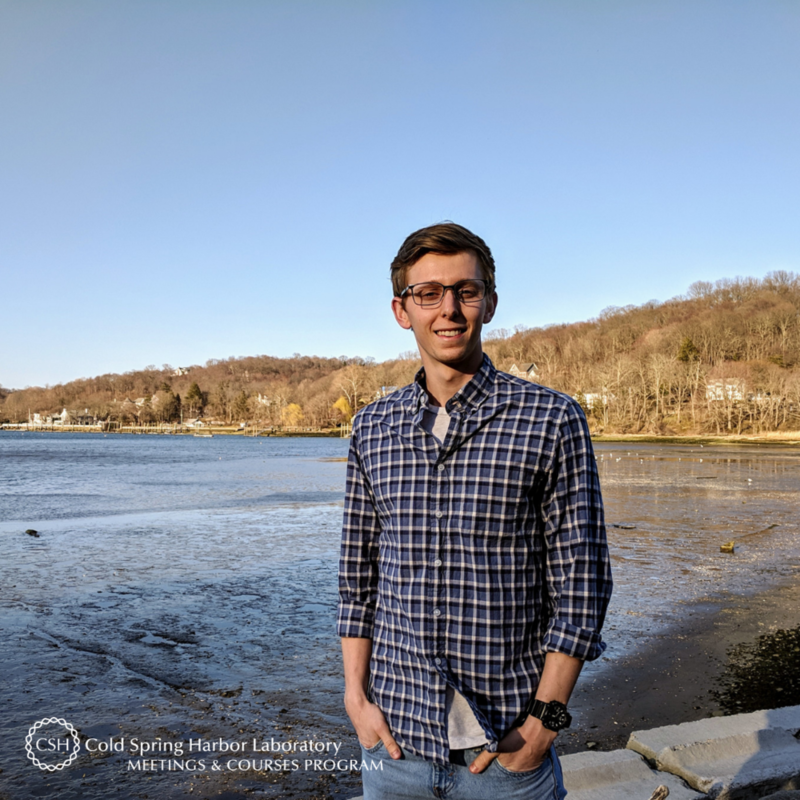 On behalf of Alisha, thank you to the Helmsley Charitable Trust for supporting and enabling our young scientists to attend a CSHL course where they expand their skills, knowledge, and network. Also thank you to Alisha for being this week's featured visitor. To meet other featured scientists - and discover the wide range of science that takes part in a CSHL meeting or course - go here.